Israel has reopened its two crossings with the Gaza Strip after closing them for nearly a week. They were closed after militants fired a rare long-distance rocket from the Palestinian enclave. Israel on Sunday reopened the Erez and Kerem Shalom crossings with the Gaza Strip after keeping them closed since a rocket fired by Palestinian militants hit a home near Tel Aviv six days earlier. The strike wounded seven Israelis and led to a serious flare-up in violence during which Israel carried out several retaliatory attacks in the Gaza Strip on targets associated with Hamas, the Islamist group that controls the Palestinian enclave. The reopening of the crossings came just hours after more rockets were launched from the Gaza Strip into Israel overnight. Israeli tanks fired at Hamas military posts in response. No casualties were reported on either side. 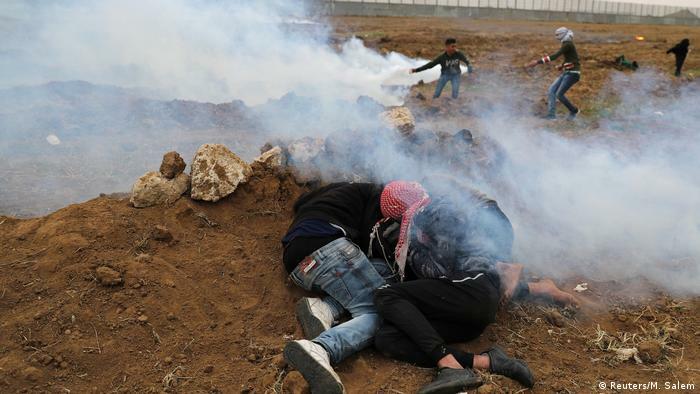 A day earlier, four Palestinians were killed by Israeli fire amid mass protests on the Gaza-Israel perimeter fence. The protests capped a year of demonstrations calling for Palestinian refugees to be able to return to the homes they or their families were forced from in the 1948 war that accompanied Israel's creation. The protests, during which some 200 Palestinians in all have been killed by Israeli fire, are additionally fueled by the poor living conditions in Gaza under a yearslong Israeli blockade. They come as Israel prepares to go the polls in a general election on April 9. Prime Minister Benjamin Netanyahu, who is facing a strong challenge by former army chief Benny Gantz, is being widely seen as wanting to avoid any major escalation in violence, while trying to counter criticism that he is being too soft on Hamas.